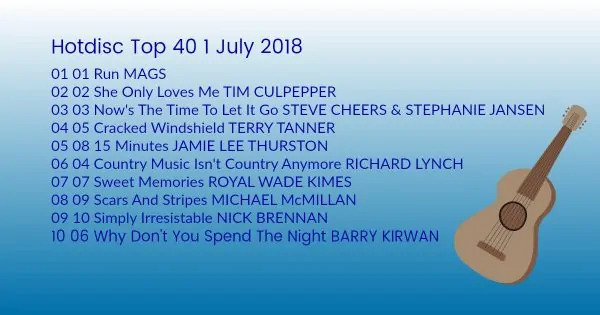 Hotdisc Top 40 1 July 2018 list of the Top 40 most popular songs released on Hotdisc Rush Released promo cd. This chart is exclusively for clients of the Hotdisc Rush Released CD. 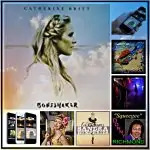 The chart is published weekly here and also in Country Music People, Country Music & Dance and Up Country magazines with the radio show syndicated across the world. The Hotdisc Top 20 TV programme broadcasts on Sky TV Channel 376 every Sunday (2pm) and Saturday (1am) and is also available on FreeSat 516.